This Act is the New Zealand Flag Referendums Act 2015. This Act (except sections 70, 71, and 72) comes into force on the day after the date on which it receives the Royal assent. the day that is 6 months after the date on which the result of the second flag referendum is declared. If, in the second flag referendum, the current New Zealand Flag gains a greater number of votes than the alternative flag design, then sections 70, 71, and 72 do not commence. In this section, alternative flag design means the alternative flag design referred to in section 14(1)﻿(a). The purpose of this Act is to make provision for 2 postal referendums to be held to enable electors to decide whether New Zealand should have a new flag, and to provide for a change of the New Zealand flag if electors decide New Zealand should have a new flag. This Act expires and is repealed on the close of the day that is 2 years after the date on which the result of the second flag referendum is declared. Despite subsection (1), if section 49(1) (which provides for a fresh referendum to be held in the case of the court declaring a referendum void) applies in the case of the second referendum, this Act expires and is repealed 2 years after the date on which the result of the fresh referendum is declared. if no option succeeds under paragraph (c), the steps described in paragraph (c) are repeated until 1 option achieves an absolute majority of votes. the option that receives the highest number of votes is the successful option. outside New Zealand, in any case where the promoter of the advertisement is in New Zealand. During the voting period for the first flag referendum, a referendum of electors must be held on the question set out in the voting paper in Schedule 1. During the voting period for the second flag referendum, a referendum of electors must be held on the question set out in the voting paper in Schedule 2.
appoint a date for the close of the second flag referendum that is at least 90 days after the day appointed under paragraph (a). the voting period closes at 7 pm on the day appointed under section 11 for the close of that referendum. revoke any Order in Council made under section 21(2) of the 2000 Act as that provision applies to this Act, and appoint a later date for the closing of the referendum roll. The Governor-General must, by Order in Council made on the recommendation of the Minister, at least 40 days before the commencement of the voting period for the first flag referendum, prescribe 5 alternative flag designs to appear on the voting paper. the technical specifications of the design, including the colours, dimensions, and proportions of the design and of any shapes or images in it. When producing voting papers for the first flag referendum, the Electoral Commission must ensure that the 5 alternative flag designs prescribed under subsection (1) are inserted in the spaces indicated on the form in Schedule 1. For the purposes of subsection (3), the Electoral Commission must arrange the alternative flag designs on the voting paper in random order. Section 13(1): amended, on 25 September 2015, by section 5(1) of the New Zealand Flag Referendums Amendment Act 2015 (2015 No 86). Section 13(3): amended, on 25 September 2015, by section 5(2) of the New Zealand Flag Referendums Amendment Act 2015 (2015 No 86). For the purposes of subsection (1), the Electoral Commission must arrange the 2 options on the voting paper in random order. The Governor-General must, by Order in Council made on the recommendation of the Minister, at least 28 days before the commencement of the voting period for the second flag referendum, prescribe an official description of the current New Zealand Flag, to be used for the purposes of dictating the relevant parts of the voting paper under section 24(4)﻿(c). 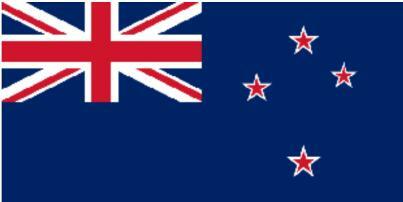 the current New Zealand Flag is to be described in accordance with the official description of that flag. For each referendum, the Electoral Commission must designate an Electoral Commissioner to be the Returning Officer. The Returning Officer is, under the direction of the Electoral Commission, charged with the duty of implementing this Act, except subpart 3 of this Part. The Returning Officer must, as his or her first duty, make a declaration in form 1 of Schedule 3 before a Justice of the Peace or a lawyer. The Returning Officer for a referendum may employ or engage such persons as the Returning Officer considers are required for the purposes of that referendum. A person engaged under subsection (1) in respect of a referendum may employ or engage such other persons as the person considers are required for the purposes of that referendum. must, as the person’s first duty, make a declaration in form 1 of Schedule 3 before the Returning Officer, a Justice of the Peace, or a lawyer. persons of a specified class employed or engaged under section 16. A delegation under this section must be made in writing, and the document must be signed by the Returning Officer. Section 12 of the 2000 Act applies to a delegation under this section. Sections 14 to 20 of the 2000 Act do not apply to the second flag referendum. must compile the final supplementary referendum roll as soon as practicable after the commencement of the voting period. The reference in section 19 of the 2000 Act to “this Act” must be read as a reference to this Act. The reference in section 27 of the 2000 Act to other provisions of that Act must be read as references to the corresponding provisions of this Act. The references in section 64(3)﻿(a) and (b) of the 2000 Act to sections 34(3)﻿(b), 35(5), and 42(2)﻿(b) of that Act must be read as references to sections 23(3)﻿(b), 24(5), and 31(2)﻿(b) of this Act respectively. Every elector is qualified to vote at a referendum. The first flag referendum is to be conducted in accordance with the Preferential Voting electoral system. The second flag referendum is to be conducted in accordance with the First Past the Post electoral system. at any time during the voting period except the last day of the voting period. However, in the case of electors to whom section 24(2) applies, the Returning Officer may dispatch voting papers at any time during the voting period, including the last day of the voting period. if the relevant parts of the voting paper are dictated under section 24(4)﻿(c), the Returning Officer is satisfied that the elector has heard every word dictated. As soon as practicable after the commencement of the voting period for a referendum, the Returning Officer must post to each elector 1 voting paper addressed to the elector at the address shown against the elector’s name on the Returning Officer’s copy of the roll. for voting papers addressed to electors residing overseas, provide delivery authorisation to New Zealand Post Limited up to 3 working days before the first day of the voting period. not received his or her voting paper. be made in the manner described in regulation 4 of the Referenda (Postal Voting) Regulations 2009.
provide the Electoral Commission with the name, date of birth, and current postal address of the elector, if the current postal address is different from the postal address shown on the Returning Officer’s copy of the roll. has the facility for receiving the voting paper by the method applied for. has another physical disability and is unable to mark the ballot paper without assistance. be made in the manner described in regulation 5 of the Referenda (Postal Voting) Regulations 2009, read with any necessary modifications. dictate the relevant parts of the voting paper to the elector. The Returning Officer must make a mark on the Returning Officer’s copy of the roll, next to the elector’s name, to indicate that the voting paper has been faxed or emailed, or that its relevant parts have been dictated, to the elector under subsection (4). an envelope addressed to the Returning Officer, if the address shown against the elector’s name on the Returning Officer’s copy of the roll is an address outside New Zealand. may post or fax or email with it information, in any language or languages, on how to vote and how to return the voting paper. delaying the return of voting papers so much that voting papers that would otherwise have been returned before the close of the voting period will not be returned by that time. any or all of Tokelau, Campbell Island, Raoul Island, or the Ross Dependency. The Returning Officer may extend the voting period as many times as he or she thinks necessary. Each extension is to be for the period the Returning Officer thinks necessary, up to a maximum of 14 days. such other notice of the extension as he or she thinks fit. may express second and further preferences for other options. An elector voting in the second flag referendum must mark the voting paper with a tick in the circle corresponding to the option that the elector wishes to vote for. is not sufficiently familiar with any language or languages used on the voting paper to vote without assistance. by a person authorised by the elector, in accordance with the elector’s instructions. An elector to whom the Returning Officer has dictated the relevant parts of the voting paper under section 24(4)﻿(c) may dictate his or her vote to the Returning Officer, and the Returning Officer must mark the voting paper in accordance with the elector’s instructions. An elector residing overseas who has received a voting paper by post may return it by any of the methods specified in subsection (1). posting it to the office of the Returning Officer. return the voting paper in compliance with subsection (1), (2), or (3) on behalf of the elector. When an elector votes in accordance with section 27(5), the voting paper is returned when the Returning Officer marks the voting paper. A voting paper returned by post, or by hand, or by fax, or by upload to the Internet site must be returned before 7 pm on the last day of the voting period. before or on the day before the last day of the voting period, in any country other than New Zealand. A vote cast by dictation under section 24(4)﻿(c) must be returned before 7 pm on the last day of the voting period (the deadline). the voting paper must be returned under section 28(5). seal each parcel and mark it “Disallowed, received late” . As soon as practicable after any voting paper is returned in accordance with section 29, the Returning Officer must process it under subsection (2). place the voting paper in secure storage under the control of the Returning Officer. The Returning Officer may carry out the duties in subsection (2) by any method and procedure he or she thinks fit, including the use of computer technology. in the case of the second flag referendum, that the voting paper does not clearly indicate the option for which the elector wished to vote. is damaged in such a way as to prevent it from being processed. no person, without the express authorisation of the Returning Officer, enters the office of the Returning Officer or any other premises when the sign is in place. The Returning Officer must take all reasonable steps to ensure the safe custody of all returned voting papers until they have been sent to the Clerk of the House under section 40. Despite section 35(1), the Returning Officer may from time to time during the voting period assess the feasibility of any method chosen to calculate the result of the referendum if the assessment does not compromise the secrecy of voting or the result of the referendum. The Returning Officer must ensure that the result of voting is not calculated, whether partially or finally, before 7 pm on the last day of the voting period. Despite subsection (1), the Returning Officer may from time to time during the voting period issue a press statement giving the total number of votes received at a date specified in the statement, but not the number of votes received for each option. place means the place at which voting papers are processed. After consultation with the Chief District Court Judge, the Minister must appoint as many District Court Judges or retired District Court Judges to observe the processing of voting papers as the Minister considers necessary. The Minister may also appoint as many Justices of the Peace to observe the processing of voting papers as the Minister considers necessary. may exercise his or her duty whether or not any Judge is present at the place. A Judge must finally determine whether any voting paper is valid or informal, if asked to do so by the Returning Officer. A Justice must not finally determine whether any voting paper is valid or informal. the voting paper does not clearly indicate any preference consecutive to the preference indicated for the option that was last excluded. complete the processing of voting papers in accordance with section 31.
the number of informal votes. However, if there is a tie within the meaning of section 39(3), the Returning Officer must not declare the result of the referendum until the tie has been resolved under section 39(1) or (2). In this section, absolute majority of votes means the number arrived at using the formula specified in clause 3 of Schedule 4. If there is a tie in the first flag referendum, the Electoral Commission must resolve the tie in the manner described in clause 10 of Schedule 4. If there is a tie in the second flag referendum, the current New Zealand Flag is to be taken to have received the greatest number of votes. in relation to the second flag referendum, that there is an equality of votes between the 2 options. send the parcels to the Clerk of the House. ensure that at the end of 6 months the parcels are destroyed unopened in the presence of the Clerk of the House. Section 190 of the Electoral Act 1993 applies, as far as is applicable and with any necessary modifications, to everything kept by the Clerk of the House under subsection (2). Any group of electors may apply to the High Court for an inquiry into the conduct of a referendum or of any person connected with it on the grounds that the group is dissatisfied with the conduct of the referendum or of any person connected with the conduct of the referendum, and that that conduct could have altered the outcome of the referendum. A group may make an application only if it has at least 200 members. a person acting under a delegation under section 17. Any group of electors may file notice of its intention to oppose an application, if there is only 1, or to oppose specified applications, if there are more than 1. A group may file such a notice only if it has at least 24 members. be filed at least 3 working days before the day fixed for the start of the hearing. A group filing a notice in accordance with this section becomes a respondent to the application or applications. An applicant makes its application by filing the application in the High Court in Wellington. be made within 20 working days after the Returning Officer has declared the result of the referendum under section 38(1)﻿(a)﻿(iii) or (b)﻿(ii). The Registrar of the court must send a copy of the application to the Returning Officer as soon as practicable after it is filed. An application must be served on a group that becomes a respondent under section 43(4) as soon as practicable after that group files its notice. An application that asks for an inquiry into the conduct of a person connected with the referendum must be served on the person complained of as soon as practicable after it is made. An application must be served in a manner as close as possible to that in which a statement of claim is served. Where 2 or more applications are filed that relate to the same referendum, all those applications must be dealt with as 1 application. At the hearing, the court has jurisdiction to inquire into and adjudicate on any matter relating to the application in any manner that the court thinks fit. The court may, on any terms and conditions it considers just, give leave for grounds other than those stated in the application to be inquired into. Evidence may be given to prove that the total number of valid votes recorded for each of the options on the voting paper was other than that declared, without any applicant having to state that as a ground of dissatisfaction or the court having to give leave for the ground to be inquired into. The provisions of the Electoral Act 1993 specified in subsection (5), as far as they are applicable and with the necessary modifications, apply to a hearing of an application for an inquiry under this subpart or an incidental matter. The provisions of the Electoral Act 1993 referred to in subsection (4) are sections 232, 235, 236(1), (2), and (4) to (7), 240, 241, 242, 247 to 255, 256(1)﻿(a) and (b), and 257.
determine whether the referendum is void because of some irregularity that in the court’s opinion materially affected the outcome of the referendum. If the court declares a referendum void under section 48(b), a fresh referendum must be held in the manner specified by this Act. The Registrar of the court must notify the Returning Officer that the referendum has been declared void. Despite section 12, the voting period for the fresh referendum must commence at the start of the 21st day before the day appointed for the close of the voting period under subsection (4) and no later than 30 working days after the date on which the Returning Officer is notified under subsection (2). The voting period for a fresh referendum closes at 7 pm on a day to be appointed by the Returning Officer by notice in the Gazette. At the fresh referendum, the same roll of electors must be used as was used at the voided referendum. An official who uses or discloses information, acquired in connection with a referendum in his or her capacity as an official, knowing that the use or disclosure is not required or permitted for the performance of his or her official duty commits an offence against this section and is guilty of a corrupt practice for the purposes of the Electoral Act 1993.
any person acting under a delegation under section 17.
that is or purports to be an imitation of the voting paper and that has on it any matter likely to influence any vote. Every such person commits an offence and is liable on conviction to a fine not exceeding $5,000. is kept after the declaration of the result as a record of the referendum. if any other person, to imprisonment for a term not exceeding 6 months. Every person who commits an offence against this section is guilty of a corrupt practice for the purposes of the Electoral Act 1993, except that the maximum term of imprisonment to which the person is liable is the term specified in subsection (2) instead of the term specified in section 224(1)﻿(a) of that Act. promising to get, or to try to get, it. This section does not apply to money paid, or agreed to be paid, for or on account of any legal expenses incurred in good faith at or in relation to a referendum. makes a gift to, or gets an office for, a person in order to induce that person to get, or try to get, the vote of any elector at the referendum. on his or her own or through another person. knowingly pays or causes to be paid any money to any person in discharge or repayment of any money wholly or partly expended in bribery at a referendum. Every person who commits the offence of bribery is guilty of a corrupt practice for the purposes of the Electoral Act 1993.
any person having induced any other person to vote or refrain from voting at the referendum. In this section, elector includes a person who claims to have a right to vote at a referendum. refraining or agreeing to refrain from voting at the referendum. on account of that person or any other person having voted or refrained from voting, or being about to vote or refrain from voting, at a referendum. to any persons, whether electors or not, for the purpose of getting votes for any response, and without receiving payment for it at the time when it is supplied. Every elector who corruptly accepts or takes any such food, drink, entertainment, or provision also commits the offence of treating. Every person who commits the offence of treating is guilty of a corrupt practice for the purposes of the Electoral Act 1993.
on account of that person having voted or refrained from voting at a referendum. compels, induces, or prevails upon any elector either to vote or to refrain from voting at a referendum. Every person who commits the offence of undue influence is guilty of a corrupt practice for the purposes of the Electoral Act 1993.
communicates at any time to any person any information obtained about the response for which the voter is about to vote or has voted. who does not mark the voting paper in accordance with the voter’s instructions. Every person who, except for a lawful purpose, interferes with or attempts to interfere with a voter marking his or her voting paper at the referendum commits an offence and is liable on conviction to a fine not exceeding $5,000. having returned a voting paper, returns another voting paper with the intention of returning an additional valid voting paper, whether or not any voting paper he or she returns is valid. If the Returning Officer believes that any person has committed an offence against this section, the Returning Officer must report the facts on which that belief is based to the New Zealand Police. Every person who commits, or aids, abets, counsels, or procures the commission of, the offence of personation is guilty of a corrupt practice for the purposes of the Electoral Act 1993. Every person who, without the express authorisation of the Returning Officer, enters the office of the Returning Officer or any other premises when the sign referred to in section 34(1)﻿(b) is in place commits an offence and is liable on conviction to a fine not exceeding $2,000. If the Returning Officer, or a person acting under a delegation under section 17(1), fails to take all reasonable steps as required by section 34(2), with the result that any returned voting paper is removed from his or her custody, he or she commits an offence and is liable on conviction to a fine not exceeding $2,000. communicates any information obtained at the processing of voting papers about the response for which any vote is given in any particular voting paper. Every person who commits an offence against subsection (3) is guilty of a corrupt practice for the purposes of the Electoral Act 1993. In any prosecution for an offence in relation to any voting paper or any envelope containing any voting paper, the property in the voting paper or envelope may be stated as vesting in the Returning Officer. referendum advertisement has the meaning given in section 63.
printing in a professionally printed brochure, pamphlet, flyer, handbill, or poster for the purpose of distribution. any publication on the Internet. Subsection (2)﻿(e) is for the avoidance of doubt. printed in a volume clearly designed to encourage or persuade a significant proportion of electors to vote or not to vote in a particular way at a referendum. A person may publish or cause or permit to be published a referendum advertisement only if the advertisement includes a promoter statement. A promoter statement must state the name and address of the promoter of the referendum advertisement. If the promoter is a body corporate or unincorporated, the promoter statement must, in addition to the name and address of the body provided under subsection (2), include the name of a member of the body who is the duly authorised representative of the promoter. If the referendum advertisement is in a visual form, the promoter statement must clearly appear in the advertisement. If the referendum advertisement is broadcast on the radio, the promoter statement when stated must be no less audible than the other content of the advertisement. Every person who, in contravention of section 64, fails to include a promoter statement in a referendum advertisement is guilty of an offence and is liable on conviction to a fine not exceeding $40,000. If the Electoral Commission believes that any person has committed an offence under section 65, it must report the facts on which that belief is based to the New Zealand Police. Subsection (1) does not apply if the Electoral Commission considers that the effect of the offence is so inconsequential that there is no public interest in reporting those facts to the New Zealand Police. ends with the close of the day appointed under section 11(b) of this Act for the close of that referendum. providing for such other matters as are contemplated by or necessary for giving full effect to the provisions of this Act and for its due administration. In the circumstances described in subsection (2), the Governor-General may, by Order in Council, do any of the things described in subsection (3). if sufficient provision for something that needs to be done is not made by or under this Act. to make such other provision for the case as the Governor-General thinks fit. This section amends the Flags, Emblems, and Names Protection Act 1981. In the Long Title, replace “to declare the New Zealand Ensign to be the New Zealand Flag” with “to prescribe the New Zealand Flag” . The flag described in Part 1 of Schedule 1, being the flag depicted in Part 2 of Schedule 1, is declared to be the New Zealand Flag. The New Zealand Flag is the symbol of the Realm, Government, and people of New Zealand. is the proper national colours to be worn by all New Zealand Government ships, and by such other New Zealand ships as may for the time being be authorised to wear the New Zealand Flag by or under the Ship Registration Act 1992. The 1902 Flag is recognised as a flag of historical significance to the Realm, Government, and people of New Zealand. Any person or body (other than a government department) may use the 1902 Flag, except where required by law to use the New Zealand Flag or another specified flag for a particular purpose. In the heading to section 9, replace “alternative flags” with “New Zealand White Ensign and New Zealand Red Ensign” . In the heading to section 10, replace “flying of New Zealand Flag” with “flying of flags” . the manner in which the 1902 Flag, or any other flag of historical or national significance, is to be flown, including the precedence that such flag is to be accorded in relation to other specified flags or classes of flags. any other flag of historical or national significance. Any rules set out under subsection (2) do not have the force of law. A notice or other prescription made under subsection (1) or rules set out under subsection (2) do not alter or affect the unique status of the New Zealand Flag as the symbol of the Realm, Government, and people of New Zealand. In section 11(2), replace “Schedule 1” with “Part 2 of Schedule 1” . Replace Schedule 1 with the new Schedules 1 and 1A set out in Schedule 5 of this Act. in Part 2, in the space indicated by the words “[Insert image]” , insert in place of those words the image of the flag design that gained the greatest number of votes in the second flag referendum, as that image was first prescribed under section 13(2)﻿(b). In Schedule 2, repeal Part A. This section amends the Land Transport (Driver Licensing) Rule 1999. For the purposes of clauses 62(g) and 63(2)﻿(b), New Zealand Flag means the flag that, at the time the licence was issued or at any time within the 6 months immediately before the licence was issued, was declared under the Flags, Emblems, and Names Protection Act 1981 to be the New Zealand Flag. The validity of a driver licence is not affected by a change of the New Zealand Flag that occurs at any time during the period of validity of the licence. For the purposes of section 58(2) of the Ship Registration Act 1992, until the day that is 6 months after the date on which this provision commences, the 1902 Flag may be flown as the New Zealand Flag. Schedule 1: replaced, on 25 September 2015, by section 6 of the New Zealand Flag Referendums Amendment Act 2015 (2015 No 86). *I, [name, place of residence, and occupation], solemnly and sincerely declare that I will faithfully serve in the office of the Returning Officer and will not do anything prohibited by section 50, 52, 58, or 60(2) and (3) of the New Zealand Flag Referendums Act 2015 or section 64 of the Referenda (Postal Voting) Act 2000. *I, [name, place of residence, and occupation], solemnly and sincerely declare that I will faithfully serve in the position for which I am employed/engaged† under section 16 of the New Zealand Flag Referendums Act 2015, and will not do anything prohibited by section 50, 52, 58, or 60(2) and (3) of the New Zealand Flag Referendums Act 2015 or section 64 of the Referenda (Postal Voting) Act 2000. *Select the paragraph that applies. Sections 50, 52, 58, and 60(2) and (3) of the New Zealand Flag Referendums Act 2015 and section 64 of the Referenda (Postal Voting) Act 2000 are printed on the back of this form and must be read by or to the declarants to whom they apply. A declaration by the Returning Officer must be made before a Justice of the Peace or a lawyer. The respondent is a group of [number in group] electors who intend to oppose the application or applications [describe application or applications] for an inquiry into the conduct of the referendum. The name, address, electoral district, and signature of each member of the group are set out in the appendix to this notice. The spokesperson for the respondent is [name, address of spokesperson]. The respondent’s address for service is [address]. The applicant is a group of [number in group] electors who are dissatisfied with the conduct of the referendum. The name, address, electoral district, and signature of each member of the group are set out in the appendix to this application. The spokesperson for the applicant is [name, address of spokesperson]. *The applicant asks for an inquiry into the conduct of the referendum. *The applicant asks for an inquiry into the conduct of [name of person complained of], [office described in section 42 of the New Zealand Flag Referendums Act 2015, if relevant], of [address of person complained of], who was connected with the referendum. The specific grounds on which the applicant is dissatisfied with the conduct of the referendum are as follows: [state specific grounds]. *The applicant asks the court to determine the total number of valid votes recorded for each option. *The applicant asks the court to declare the referendum void. The applicant’s address for service is [address]. *Person on behalf of spokesperson for applicant. votes means whole number values. Votes are counted by recognising preferences as provided for in Part 2 of this schedule, and by performing the steps in clauses 3 to 9 until an option is successful. is the total number of non-transferable votes. An option is successful if the number of first preference votes equals or exceeds the absolute majority of votes. If no option is successful, the option with the fewest first preference votes is excluded. For each voting paper on which the option excluded under clause 5 is the first preference, redistribute that vote to the option that is the next preference on that voting paper. An option is successful if its votes equal or exceed the absolute majority of votes. If no option is successful, repeat the operations in clauses 3 and 5 to 7 (those clauses being read with any modifications that the context requires). If clause 10 applies, the steps in clauses 3 and 5 to 7 must be modified by carrying out the operations set out in the relevant parts of clause 10.
an option that has votes that equal or exceed the absolute majority of votes is to succeed but 2 options’ votes equal the absolute majority of votes. If this clause applies, exclude the option identified by the AAFD method as the option to exclude. In the case of paragraph (a), if the AAFD method does not identify an option to exclude, exclude the option with the lowest PRN. In the case of paragraph (b), the option that is not excluded is successful. any preference on the same voting paper that is lower in rank than a preference to which paragraph (a) or (b) applies. Heading: replaced, on 25 September 2015, by section 7(1) of the New Zealand Flag Referendums Amendment Act 2015 (2015 No 86). Schedule 4 clause 12: replaced, on 25 September 2015, by section 7(1) of the New Zealand Flag Referendums Amendment Act 2015 (2015 No 86). Schedule 4 clause 13: replaced, on 25 September 2015, by section 7(1) of the New Zealand Flag Referendums Amendment Act 2015 (2015 No 86). To use the AAFD method, determine which tied option, or options, does not have more votes than the other tied option or options at the earliest point at which the options had different numbers of votes. If one option is identified, exclude that option. Allocate a unique pseudo-random whole number (a PRN) for each option at each stage of the counting. is the remainder operator such that a rem b gives the remainder of dividing whole number a by whole number b. Schedule 4 clause 16 formula: amended, on 25 September 2015, by section 7(2) of the New Zealand Flag Referendums Amendment Act 2015 (2015 No 86). is the integer division operation such that a div b gives the whole number quotient of dividing whole number a by whole number b.
Repeat the step in clause 17 4 times, discarding the first 4 values of rc. Assign the current value of rc to the first option. Repeat the step in clause 17 until a pseudo-random number rc results that is distinct from all previous pseudo-random numbers assigned to options. Assign rc to the next option. Repeat the step in clause 20 until all options have been assigned a pseudo-random number. For the second and subsequent stages in the counting, repeat the step in clause 20 so that all options have been assigned a unique pseudo-random whole number at each stage of the counting. This is a reprint of the New Zealand Flag Referendums Act 2015 that incorporates all the amendments to that Act as at the date of the last amendment to it.